In 2018 CTec performed 262 demonstrations and industrial tests, 63 training actions and 31 service advisories and trainings. The year 2018 was particularly positive for the Manel Xifra Boada Technological Center, Comexi CTec, as it experienced an increase in specialised high value added services performed in its Riudellots de la Selva (Girona) facility. In 2018, CTec, a specialist in advice and technical services for the impression and conversion of flexible packaging industry, carried out 262 demonstrations and industrial tests, 63 training actions (of which 31 were performed at CTec), and 31 service advisories and trainings. 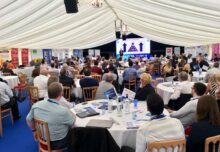 “The sector increasingly demands that our demonstrations at CTec are more personalised and complex. 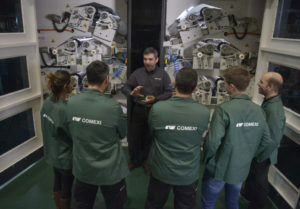 We began using this line last year and will continue to offer it in 2019: demonstrations in which personalisation and added value prevail continue to be preferred and the demise of standard tests”, explains Albert López, head of the Technological Center. 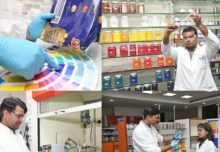 As for industrial tests, an upward trend has been maintained with respect to previous years and has been consolidated as a highly valued service by the manufacturers of inks, clichés and adhesives. Customised training in our clients’ facilities increased last year, reaching a total of 32 performances in which teams averaging between 6 and 10 people were formed. In CTec, 31 training actions were performed, which included advanced machine training and internal training. The technical and advanced sessions had a participation of 134 people during 2018. It should be noted that customers were very satisfied with these trainings, qualifying them with an excellent score in their ratings (5.3 out of 6 points). Since Comexi CTec began training in 2010, the number of students that have passed through the company’s facilities, both internal and external, has continued to grow, reaching 1,713 at the end of last year. In 2018, there were a total of 337 students, 21 more than 2017 and 130 more than 2016. “Different clients have shown interest in receiving prepress knowledge. For this reason, we are working on the development of a program that responds to these needs, and our intention is to begin this year”, says Glòria Deulofeu, responsible for training at the Technological Center. 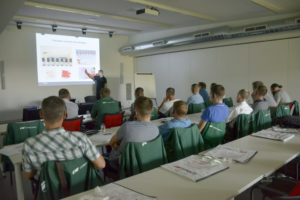 Training courses given by Comexi CTec in 2019 include a lamination course (offered in German, Spanish and English), a slitting and rewinding training program that will include machine operating contents, flexographic printing courses, print defect solutions and standardisation (offered in Spanish, English and Russian), maintenance training (offered in Spanish and English), advanced sessions in flexographic printing (offered in Spanish, English and Russian), as well as new editions of the technical color management seminar (offered in Spanish and English). During 2018 there also was an increase in advisory and training services, known as Serviflex, which Comexi CTec performed at the clients’ facilities. In total, 31 services were given in 23 different companies, with visits that lasted between 1 to 3 weeks. The actions related to rolling and cutting have increased, while for the first time, three services were conducted for offset technology. 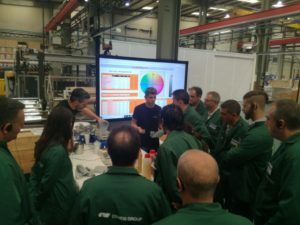 “Practically 70% of Serviflex is from purchase contracts, which demonstrates the interest in this type of service from customers who purchase a Comexi machine,” says Yago Luling, technical specialist in training and advice.